A top British Turkish fashion designer was named ‘Man of the Year’ by Harper’s Bazaar last week. 37-year-old Erdem Moralıoğlu picked up the award, alongside a host of famous female winners who were honoured by the magazine for their contributions to the creative industries and society. Among the winners for Harper’s Bazaar 2015 Women of the Year Awards were Kate Winslet (British Icon Award), Nicole Kidman (Theatre Icon Award), Ellie Goulding (Best Musician Award) and Lara Stone as Model of the Year. Erdem was the only male to be honoured at the celebrity-filled awards ceremony held last Tuesday at Claridges in central London. Last year, the same award was won by actor Benedict Cumberbatch. The fashion designer’s profile has grown spectacularly since launching his own label in 2005. In the past decade, he has dressed some of the most famous ladies on the planet, from film stars such as Keira Knightley, Sarah Jessica Parker, Julianne Moore, Jessica Biel, Anne Hathaway, and Marion Cotillard, to fashion icon Alexa Chung and royalty. Kate Middleton, the Duchess of Cambridge, is among his biggest fans and regularly wears his dresses for her public engagements. Erdem is Canadian-born, with a Turkish father and an English mother. He grew up between Montreal and Birmingham, England. He graduated in fashion from Ryerson University in Toronto, before working as an intern for Vivienne Westwood. In 2000, he moved to London to study fashion at the Royal College of Art and after receiving his master's degree in 2003, he moved to New York where he worked alongside Diane von Furstenberg. 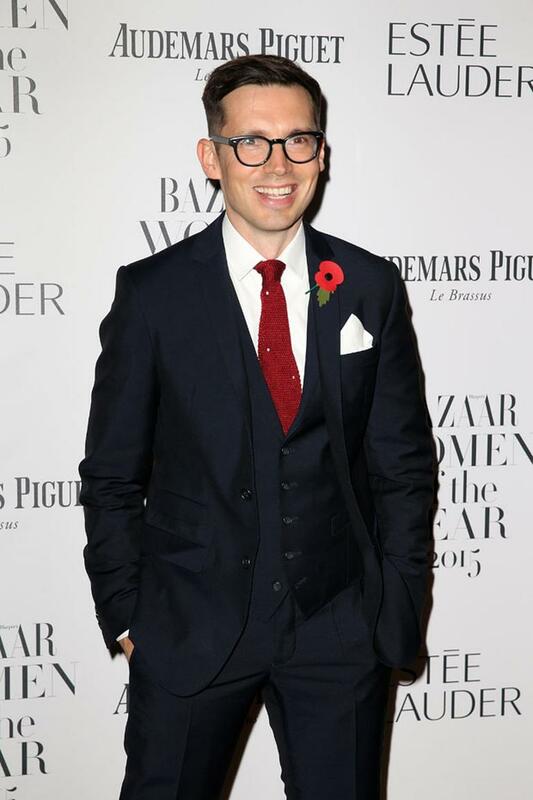 Two years later, he relocated to Britain and launched his own ready-to-wear label, Erdem. The couture label has become renowned for its elegant designs, where delicate ideas mix with bold fashion statements that use experimental textiles and vibrant prints. A darling of London Fashion Week, Erdem has received numerous accolades over the years, including: the 2008 British Fashion Council’s Fashion Forward Award; the 2010 inaugural Vogue / British Fashion Council Designer Fashion Fund Award, the 2012 British Fashion Council’s New Establishment Award, the 2013 British Fashion Council’s Red Carpet Award and the 2014 British Fashion Council’s Womenswear Designer of the Year Award. Today Erdem is sold in over 170 of the most exclusive retailers around the world, such as Barneys and Bergdorf Goodman in New York, and Selfridges and Harvey Nichols in London. 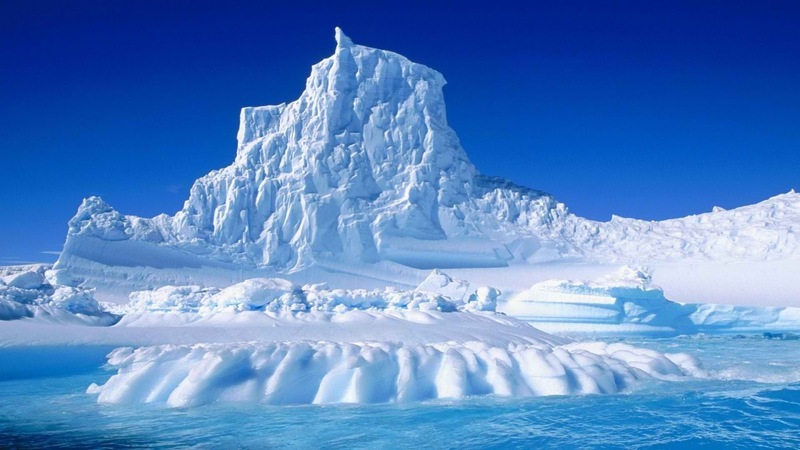 In Turkey, his clothes can be found in Ankara and Istanbul in branches of Harvey Nichols, Polar Moda and Beymen. Splash in Limassol, south Cyprus, is also an official stockist. Over the summer, Erdem opened his debut flagship store, located at 70 South Audley Street in Mayfair. The 77th year of Mustafa Kemal Atatürk’s passing has been commemorated across Turkey and the Turkish Diaspora today. Turkey’s founding father not only presided over vital military victories at Çanakkale and the Turkish War of Independence, which liberated Turkey from foreign powers, but also helped usher in a new modern era with a raft of far-reaching reforms. 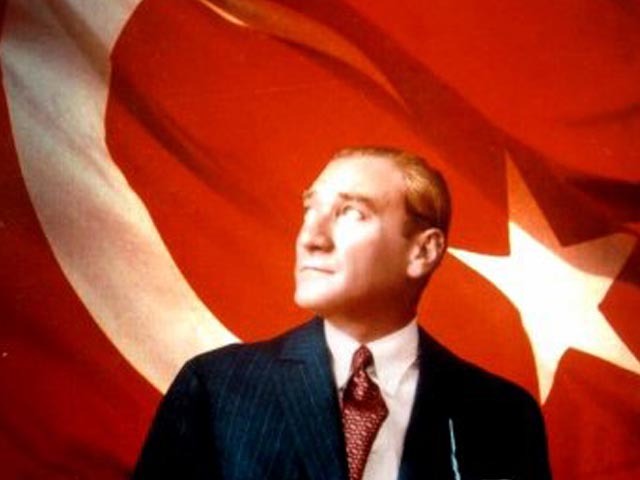 These included: abolishing the Caliphate and turning Turkey into a secular state, giving women the vote, translating the Koran into Turkish so it was more easily understood by the mass of Turks, replacing the Arabic alphabet with Latin characters, and placing education for the masses at the heart of his social reforms, to create a new, literate society that could compete with the world. This Friday, the Çanakkale Remembrance Platform has organised a special seminar to recognise Atatürk’s important legacy. 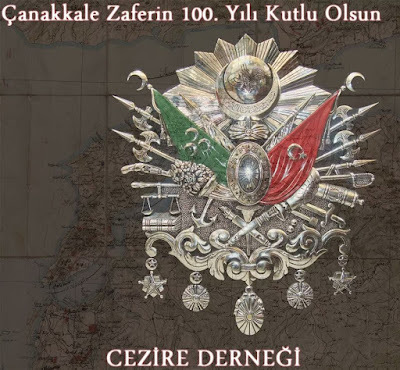 Titled “Bir Milletin Yeniden Doğuşu: Rumeli’den Çanakkale’ye, Çanakkale’den Çankaya’ya” (The Rebirth of a Nation: from Rumeli to Çanakkale, Çanakkale to Çankaya), keynote speaker Dr Haldun Solmaztürk will chart the Turkish leader’s life and career, and its impact on the Turkey and its people. The event, entirely in Turkish, will start with refreshments, followed by a minute’s silence in remembrance of Atatürk, the singing of the Turkish national anthem and an introductory talk by the Turkish ambassador, Abdurrahman Bilgiç. There will be a question and answer session following Dr Haldun Solmaztürk's talk, with the event scheduled to end at 8.15pm. Attendance to the central London is free, but people are required to register in advance to confirm their place. Dr Haldun Solmaztürk is a political and security analyst, commentator and academic. 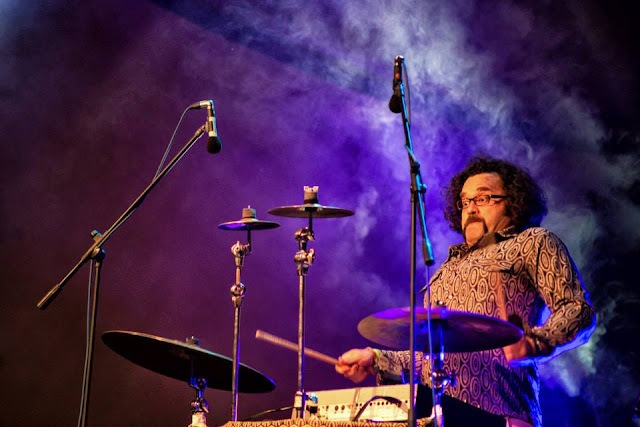 He started his professional career in the Turkish army, rising to the rank of brigadier general. He retired from the army in 2005 after 30 years of service. In his civilian life, he has served as a lecturer, writer, director and advisor for many think tanks and academic institutions including the Washington Institute for Near East Policy, the Ahmet Yesevi Kazakh-Turkish International University Strategic Research Center, and the Turkish Center for International Relations and Strategic Analysis (TURKSAM). His expertise covers defence and security, political culture/psychology, civil society, democratization, foreign policy, and strategic policy-making. He has taught political leadership, policy formulation and resolution of cultural conflicts. He has also extensively researched the impact of insecurity on young people in Turkey and the transformation of political culture. 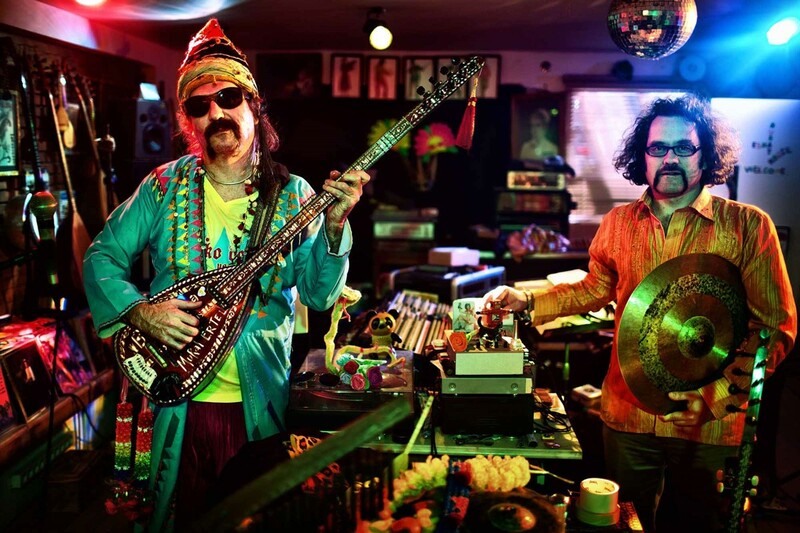 Since 2012, he has been an Honorary Research Fellow, at London Metropolitan University’s Faculty of Social Sciences and Humanities, and Senior Fellow at the 21st. 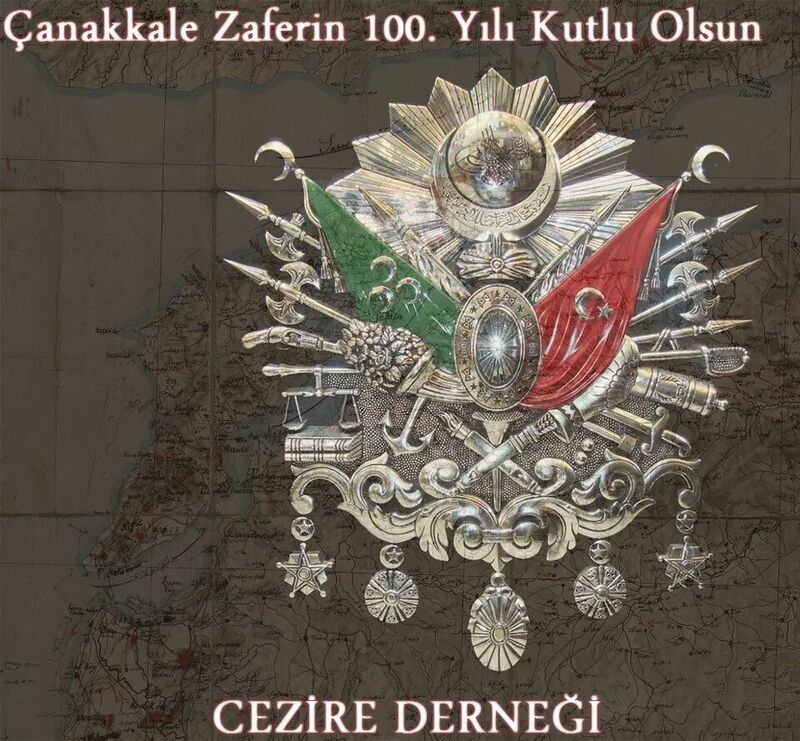 Century Turkey Institute’s Dpt. of National Security and International Relations in Ankara. In 2014, he joined Chatham House as an Academy Turkey Senior Fellow on International Security. 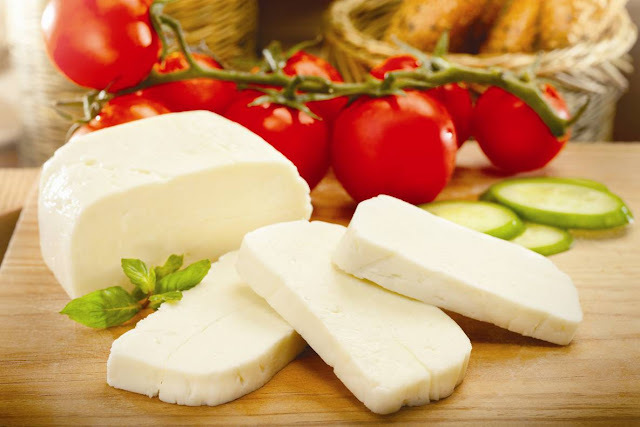 TRNC Foreign Minister Emine Çolak said this week that if the issue of hellim cheese is resolved as a confidence building measure (CMB), with economic benefit to both sides, it will enhance the negotiation process. Any other strategy could have a negative impact on the Talks, which are currently progressing positively, she said. At a conference organised by the Cyprus Turkish Chamber of Industry (CTCI), Minister Çolak reminded the audience that a quarter of the TRNC’s export trade depends on hellim, which provides jobs for 17% of the population. She said hellim had a big cultural significance for Turkish Cypriots, and as a globally known and sold product, had a large role in the quest for peace in Cyprus. Minister Çolak said the Greek Cypriot administration had applied to the European Union for a Protected Designation of Origin (PDO) for hellim: "They requested that the monitoring of hellim take place in 'areas under the effective control of the Republic of Cyprus.' We said it was not possible for the monitoring in the North to be conducted by the Greek Cypriot Ministry. 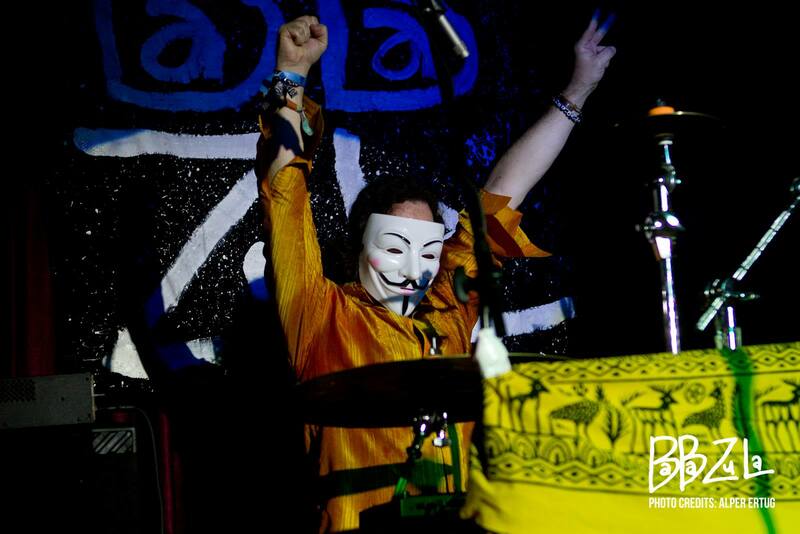 Our position was deemed valid, and alternatives were sought. " "A mutually-agreed document treating hellim as an 'exceptional situation' was produced after the meeting on 16 July 2015 between the two leaders and the President of the EU Commission, Claude Juncker. It accepted that an independent institution would be assigned by the EU to monitor hellim production in the TRNC. The Commission also prepared a draft amendment to the Green Line trade Regulation to take effect with the PDO." 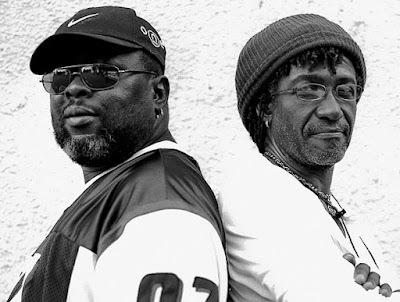 "The Greek Cypriot administration then demanded various changes. We were quite happy with what we saw as a progressive agreement," said Çolak, adding: "After reaching it, we were disappointed by the amendments requested by the Greek Cypriots, who said it was a threat to their sovereignty. The Commission listened to their objections, and prepared another document. It then transferred the issue to the EU Council so that it could not be disputed any further, and a conclusion be reached. " "The assumption of mutual benefit between the Turkish and Greek Cypriot sides on the issue of hellim is an important aspect of economic growth. But we are not just talking about a packet of cheese. Any negative decision taken at this stage by the Commission over the demands of the Greek Cypriots pertaining to the hellim PDO could harm the Talks. 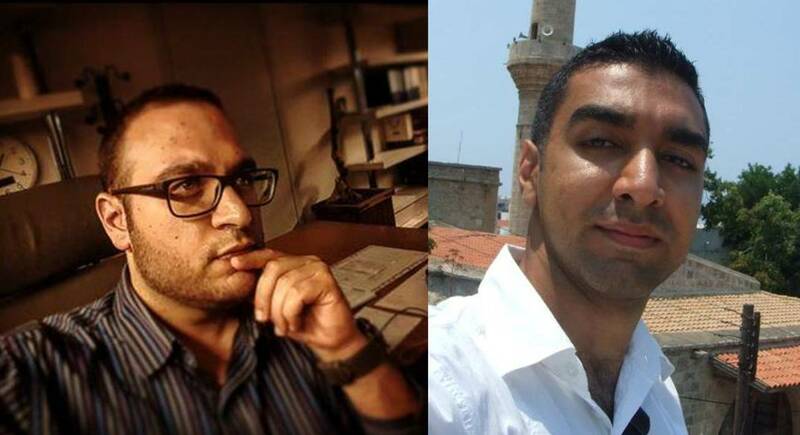 Since the Greek Cypriot side is not attempting to cooperate with us over the monitoring of hellim, the EU Commission should consider the Green Line Regulation implementations throughout this process." "The best approach would be to establish a control mechanism which will include the relevant Chambers in Northern Cyprus, our Ministry of Agriculture, and the EU. 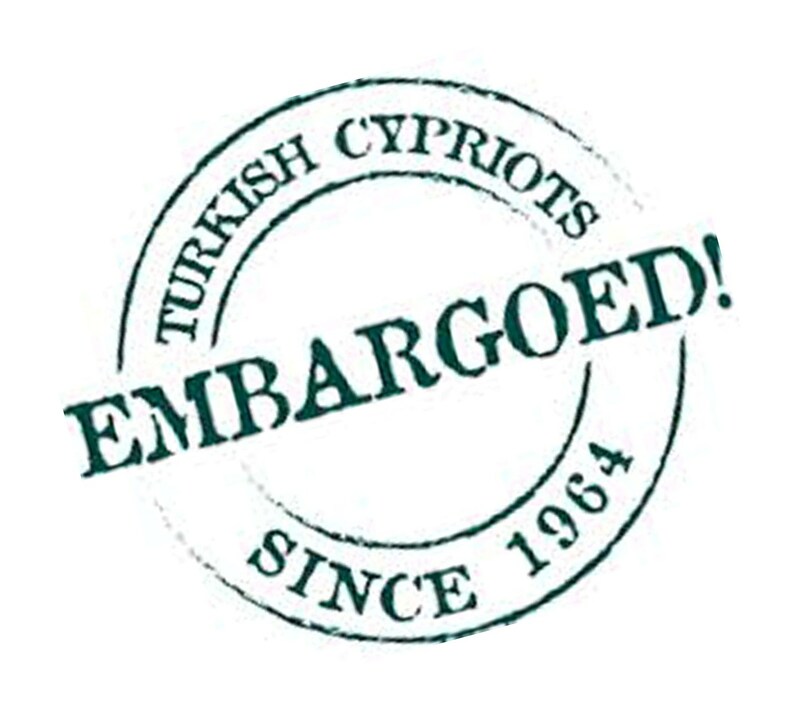 We expect the EU Commission to adopt an approach which recognises the equal rights of the Turkish Cypriots and the Greek Cypriots, and allows all relevant parties in Northern Cyprus with valid objections to be heard." Mr Fahri Zihni, chair of Embargoed!, the London-based organisation which campaigns to remove trade and other embargoes imposed by the UN and the EU upon the TRNC, said this week: "We have lobbied EU Commissioners and discussed hellim issues with the TRNC's Chamber of Commerce, and we have hosted the Chamber of Industry's President Cirali at a recent hellim round table discussion. It is very encouraging to see that Foreign Minister Çolak has picked up, developed and reinforced industry concerns in a clear attempt to make the PDO work for the benefit of both sides." "It is clear from the way that the Greek Cypriots have speedily rejected both the letter and the spirit of this specially- negotiated hellim PDO that they are not negotiating in good faith. 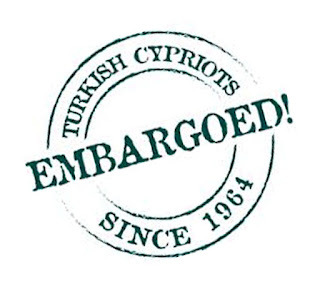 If they can renege on the Hellim agreement between themselves, the EU and Turkish Cypriots, what guarantee is there that they will not renege on an agreed constitution for the future of Cyprus?" Hüseyin Özgürgün was returned as party leader on Saturday night after securing 56% of the vote. He beat former Finance Minister Ersin Tatar in the second-round of the Ulusal Birlik Partisi (National Unity Party) leadership contest, after five of the seven candidates were eliminated in the first round of voting held the previous week. The two men had gone head-to-head after neither had achieved the required 51% to win outright in the first round. The all-male contest had seen a number of former government ministers stand for the party’s top job: Ünal Üstel, Ersan Saner, Nazım Çavuşoğlu, and Zorlu Töre. Oğuz Ceyda, a former President of the Turkish Cypriot Farmers Union, also threw his hat into the ring. During a live count held on Saturday 31 October, the top two took over two thirds of the vote between them: Özgürgün came first with 44.3%, with Tatar on 23.4%. The next nearest candidate had been Üstel on 11.5%, followed by: Saner (8.1%), Çavuşoğlu (6.2%),Töre (5.2%), and Ceyda (0.6%). Two in three party members voted in the first round. A slightly higher number turned out for the second. The leadership contest should help the party reconcile after months of bickering and petty political point-scoring among the rival candidates and their supporters. Özgürgün and Tatar shook hands and posed for the cameras following the announcement of the results. The UBP leader then invited the other leadership candidates, fellow UBP MPs and local council leaders to join them on the stage to demonstrate the party’s “unity and togetherness”. During his victory speech, he said: “Today UBP has scored an important victory for democracy”, referring to the party’s new internal voting system and regulations. The 50-year-old politician pledged to do his best for this party and country, and thanked the National Executive and party members who worked during the two AGMs. UBP, founded by the TRNC’s first President Rauf Denktaş and known for its patriotic views, is the junior partner in a coalition government with the centre-left Republican Turkish Party (CTP). 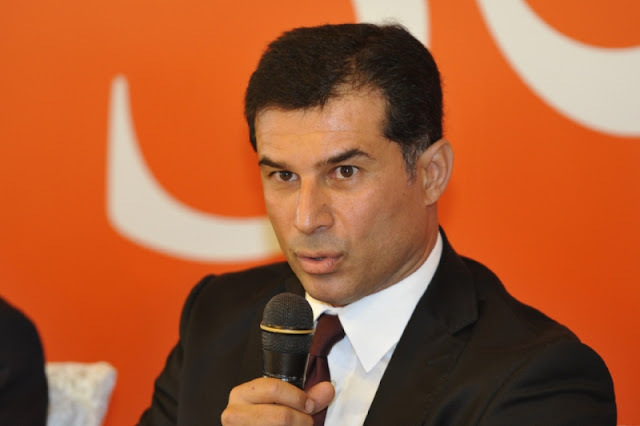 A graduate of political sciences from Ankara University and a keen sportsman, Özgürgün started his political life in the centre-right Democrat Party, first entering Parliament in 1998. He then switched to their arch rivals UBP, going on to become party leader in 2006. He stepped down after 10 months. A popular figure within the party, he headed the group of UBP MPs in Parliament in 2013 after party leader and former Prime Minister İrsen Küçük failed to get re-elected in the General Elections held that year. 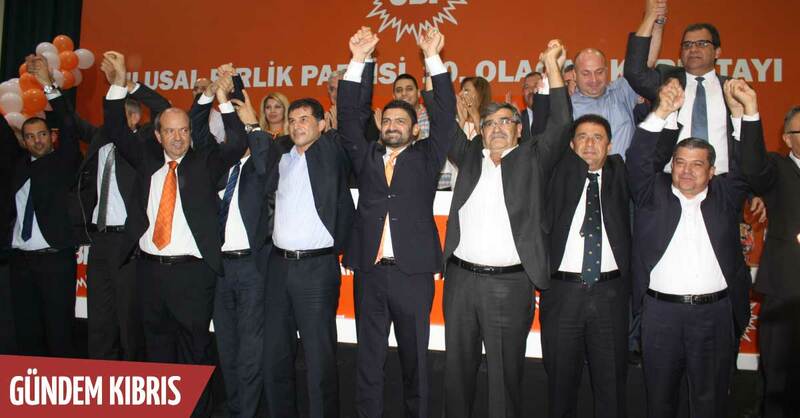 Soon after, Özgürgün, an MP for Lefkoşa, was re-elected as party leader. 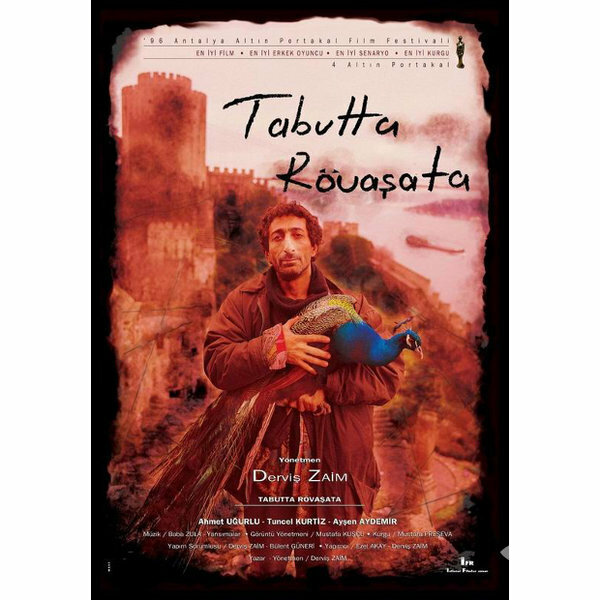 Born in Lefkoşa, he is married and a father of two. On this Remembrance Sunday, when the United Kingdom (UK) honours the heroic efforts, achievements and sacrifices of those who fought in past wars, spare a thought for a battle that is usually overlooked: the campaign at Gallipoli, or Çanakkale, fought against the Ottomans one hundred years ago, which ended in defeat for Britain and its allies. Part of World War I, this bloody campaign began with a naval assault by the Allies in March 1915. Their aim was to capture the Dardanelles – a key sea route. 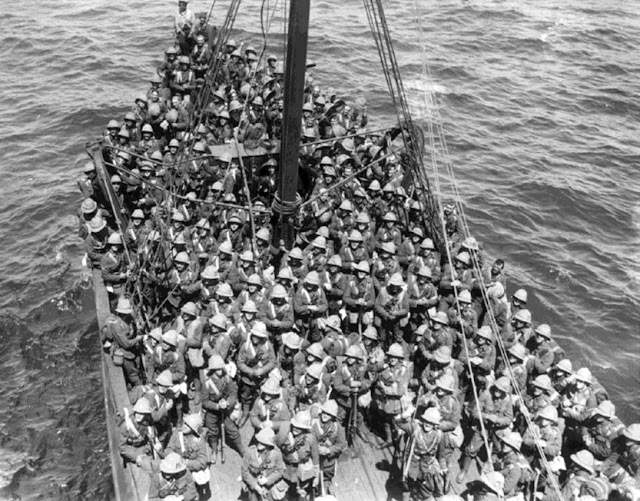 The following month, the Allies, whose troops came from Great Britain, France, Australia, New Zealand, and India, landed 500,000 soldiers on the Gallipoli Peninsula, intending to march on to Istanbul. But their plans were thwarted by the Ottomans, who won a famous victory in January 1916, although it exacted a heavy toll on both sides with some half-a-million casualties. Earlier this year, former Konsey head Ahmet Baştürk was a guest on ‘Heritage at A World in London - Gallipoli 100’, a special radio programme hosted by DJ Ritu to discuss the legacy of the Gallipoli campaign. 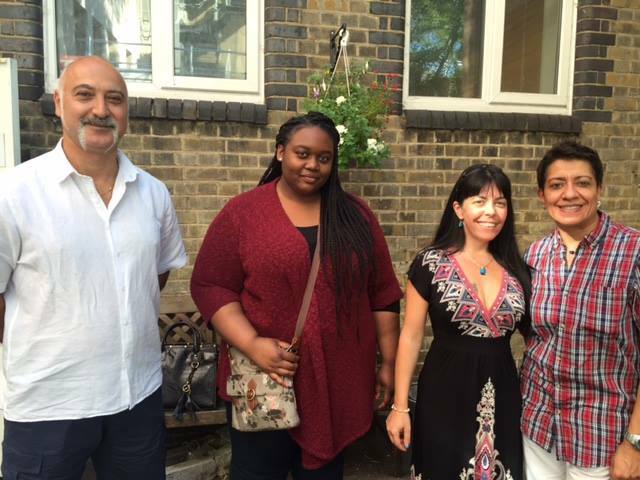 Joining him was Dianna Djokey and Fiona Smythe from the National Museum of the Royal Navy in Portsmouth. 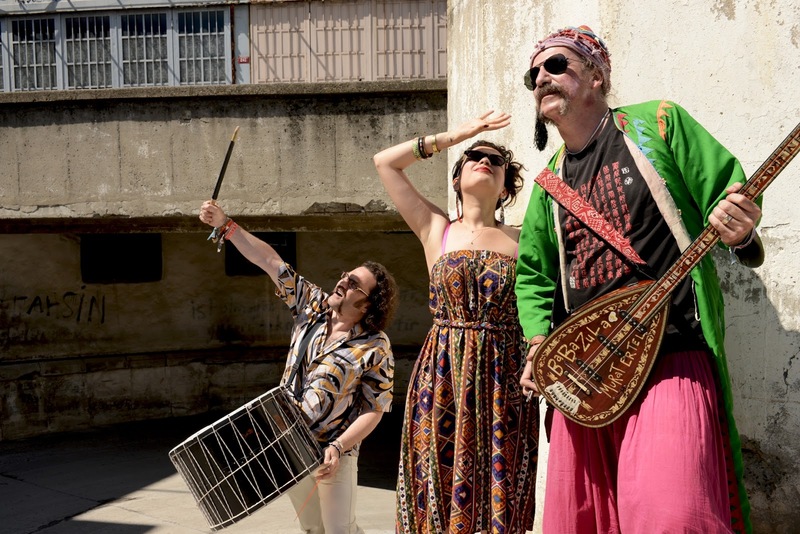 The hour-long programme contained heaps of historical facts from the 100-year old battle, intertwined with wonderful music, with the studio guests providing different perspectives, both British and Turkish, about the conflict. The show formed part of A World in London series to highlight the role of migrants in British history and heritage. One of the aspects the radio show covered was a special exhibition about Gallipoli at the National Museum of the Royal Navy (NMRN) in Portsmouth during its centenary year commemorations. 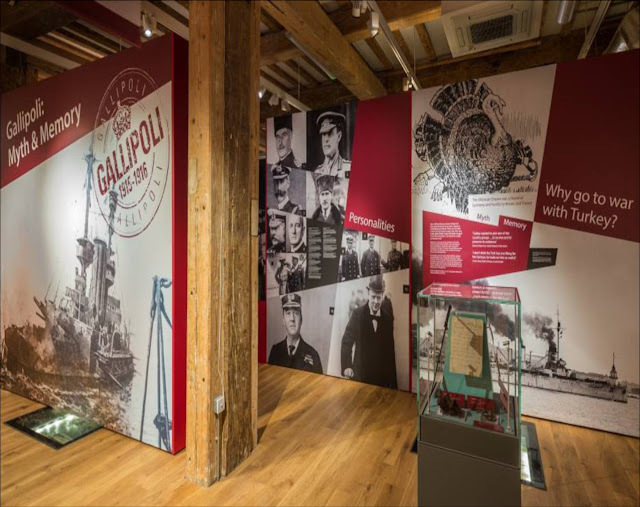 Called Gallipoli: Myth and Memory, it contains never-before-seen exhibits, witness accounts, and displays re-telling the story of Gallipoli distorted by national myth. The exhibition explores every element, from British troop deployment to their evacuation nearly a year later. It demonstrates how the Royal Navy was at the heart of Britain’s military operation in Gallipoli, including its immaculate evacuation of troops, seemingly overnight, from the Peninsula. Some of the myths that have since circulated about this epic battle include that the Ottomans were ‘weak and could be easily defeated’, that being in the Mediterranean, the Allies’ biggest threat would be ‘the heat’ (many troops actually froze to death), and that had the Turks lost Gallipoli, the First World War would have been over more quickly. Among the exhibition’s highlights are: a 3 metre long model of HMS Swiftsure; Admiral Carden’s (who was in charge when the Allied fleet advanced up the Dardanelles Straits) archive, including his plans and correspondence with Winston Churchill; and naval officer Rowland Langmaid’s journal, which contains a diary complete with sketches and descriptions of what he observes while serving on a battleship in Gallipoli. v See HMS M.33, the sole surviving British warship from Gallipoli. It’s sited within the Portsmouth Historic Dockyard, 130 metres away from the NMRN. v The Royal Armouries at Fort Nelson, overlooking Portsmouth, where the Dardanelles Gun is housed. Modelled on the guns used by the Ottomans during the victorious Siege of Constantinople in 1453, it was cast in bronze in 1464 by Munir Ali. 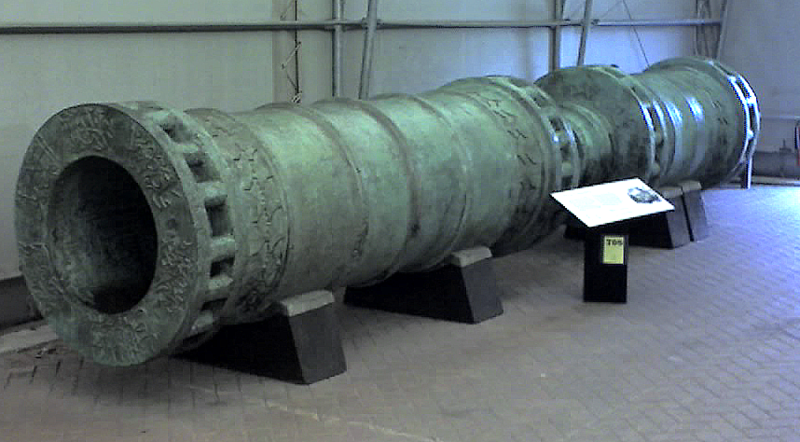 At 5m long gun and weighing nearly 17 tonnes, it remained a core part of the Ottomans’ artillery for 340 years, helping to keep an array of forces at bay, including the British during their 1807 Dardanelles Campaign. In 1866, Sultan Abdülâziz gifted the Dardanelles Gun to Queen Victoria. Admission to the fortress and its modern museum is free. Open daily from 10.30am to 4pm, last admission is 3pm. 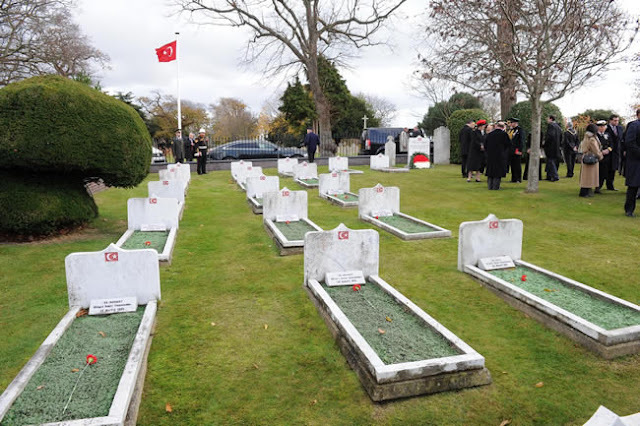 v Turkish sailors laid to rest at the Haslar Royal Naval Cemetery. Between 1859 and 1860, two Turkish ships were anchored off Hardway, Gosport. Some Turkish sailors were admitted to hospital suffering from cholera or injured during from training accidents. 26 died and were buried in the local town, which was dubbed ‘Turk Town’. Their remains were moved to their current burial site in 1900. Each year, the Turkish ambassador, and representatives of the Turkish armed forces and community come to pay their respects. The cemetery is open daily and access is unlimited. It is located in Clayhall Road, Gosport, Hampshire, on the opposite side to Portsmouth Harbour, a 27-minute drive via the M27 from Portsmouth Historical Dockyard. For the Gallipoli: Myth and Memory and HMS M.33, check the NMRN website before travelling for ticket availability: it can get very busy during weekends and school holidays, with the number of visitors to certain exhibitions and tours limited. Winter (November to March) opening hours: 10am - 4.15pm daily. Open every day except Christmas Eve, Christmas Day and Boxing Day.